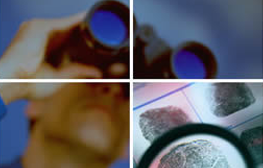 Identify any suspicious behaviors in employees or family members with workers compensation surveillance and private investigative services from Prime Research Investigations in Metro Atlanta, Georgia. Based on more than 20 years of experience, we do a discreet but thorough job for you by completing in-depth corporate investigations and fighting fraud. This service is a must because it alerts the employer to potential fraud or misrepresentation. A pre-employment screening verifies previous employment, educational degrees, professional licenses, disciplinary actions, and certifications. Make sure that your work environment is safe with annual criminal record searches for employees. Searches are conducted at federal and state courts to obtain felony and misdemeanor information. In some states, a signed release or fingerprints are required. Validate your employees' Social Security numbers to reveal additional names associated with the numbers. This is highly instrumental in detecting fraud. Check your employees' driving records annually with our help. This search identifies the status of a driver's license as well as any current violations. Signed releases are required in many states. This operation involves an investigator interacting or observing the suspected employee(s) while on the job. This tool is useful where there is repeated inventory shortage. Surveillance is conducted by observing and filming the claimant's activity. The insurance provider confirms if any fraud is present. 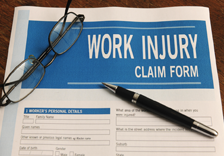 This is a cost-effective tool employers can use to help control their workers compensation loss ratio and experience modifier. Surveillance can assist in controlling inventory shortage and with inventory shortage not covered by insurance, surveillance is a cost-effective way to control and deter employee theft. Surveillance is used to reveal an employee's activities while working at or away from the premises. When the surveillance is conducted legally, the tapes can be used in a court of law. When the potential employee signs the employment application, have him/her sign a release. This procedure allows you to legally check the candidate's criminal history. If the release in not signed, federal law prevents such investigations. Blank spaces left on an employment application could be the first signs of potential defrauding of one's past. Contact us for services that give you peace of mind about employees and family members.